For Christmas we were gifted with handmade sugar and salt scrubs from a dear friend of ours. I had asked her how she made them and if I could share on my blog, because my feet felt…let’s just say very shameful until I used some a few weeks ago. I really had no idea how simple it was to make your own scrub, until she told me. 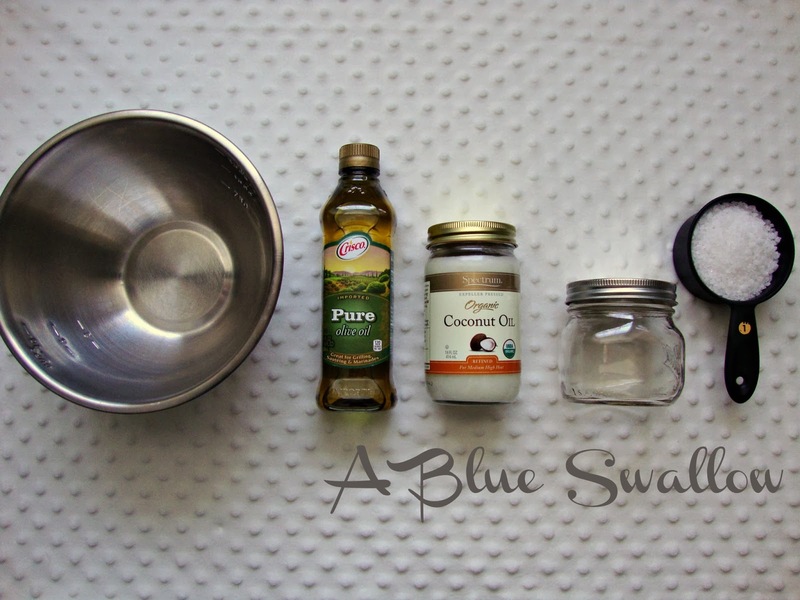 3 basic ingredients that I’m pretty sure you have in your home right now! Of course if you Pinterest “how to” there are plenty of great ones available as well, this is just my version. With Valentine’s Day coming up this is a great gift along with a few other goodies without going all out, but looking like you did. Such as creating a coupon book to add to this, or a bar of soap and other bath essentials for a “getaway” box… just a thought. 4. Mix – I prefer the small clumps of Coconut Oil, it just gives the mix some texture. 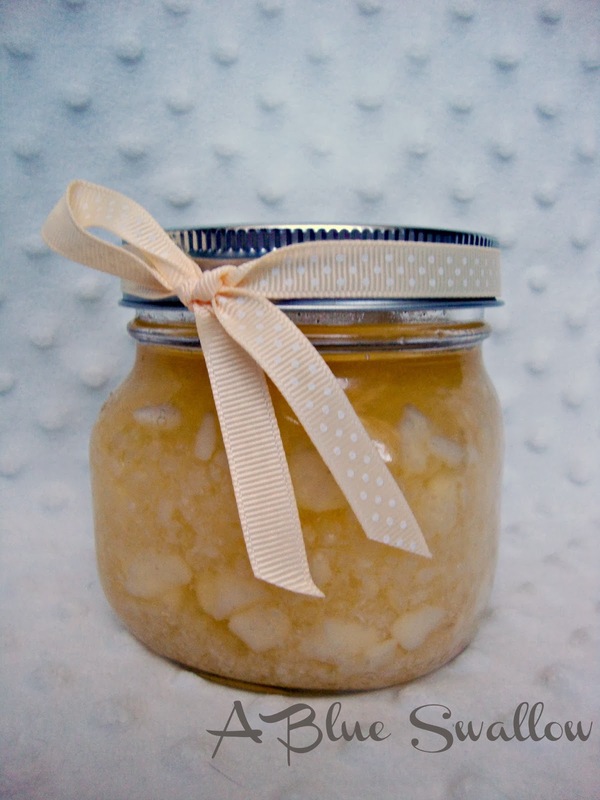 This is such a quick and easy gift that you can whip together with what you have at home. You can easily substitute and add your own twist to the mixture. I’ve seen scrubs with herbs, actual crushed peppermint, and a bunch of other things. Just make sure whoever you are making the scrub for doesn’t have sensitive skin. I like to keep it simple, because I tend to breakout in a rash (just FYI). I can’t wait to make a few more variations to give out for Valentine’s Day.